Cutty Sark (40.0%): Another review for my ongoing blend project... I started the blend project here on tire-bouchon almost two and a half years ago to find the best price/value blended Scotch to sip with your friends in your favorite watering hole to accompany a good pint of beer without breaking the bank. I had two rules: It should be priced less than $30 a bottle and it shouldn't be an exclusive release. That simple... Any entries which bended these rules lost advantage against a cheaper and/or higher volume release to keep the ranking as fair as possible. 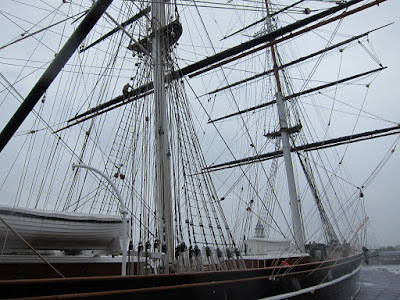 You can check my latest top five by clicking this link. I'll keep updating the rankings while I keep tasting. 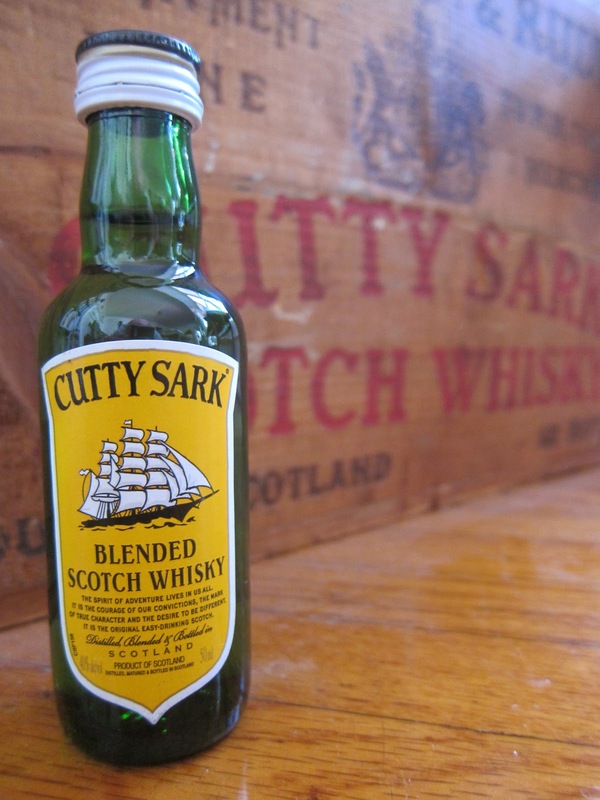 So today I have Cutty Sark on my desk... Named after the world's fastest ship of its time, Cutty Sark was created in 1923 by London based wine and spirit merchants Berry Bros & Rudd, quickly became famous all over the world and reached almost an iconic status during Prohibition. Now the blend is a part of the Edrington Group and a bottle can be found below $20. Too good to be true... Color: Pale yellow, straw. Unexpected very thin legs around the glass. Nose: Very mute... I had to sniff multiple times and be patient to let it air to get anything out of it. Old glazed paper... The kind of paper magazines used to be printed on in 60's and 70's, like Life magazine. Now imagine a bundle of those magazines you just discovered in your basement or in your attic. Damp and moldy... Black garden soil, hint of lemon zest and Granny Smith apples. And as an off-note some pesticide and gauze pads. Kinda let down on the nose. Palate: More apples, this time freshly sliced. Sweetened grape juice, artificial cheap vanilla extract and green malt. Lime wedges, fresh rosemary and pine nuts. Very thin in texture. Don't see any reason to add any water to it... Finish: Short with citrusy notes. Lemon juice and young and harsh grain alcohol. Overall: How can you argue with a blend like this? Yes it's not exciting at all but it is cheap, not offensive, straightforward and easy drinking. It won't make the top five but I didn't hate it either... It is a pretty neutral blended Scotch which delivers exactly what you paid for... It works great with soda water or ginger ale by the way which will come extremely in handy in coming summer days.